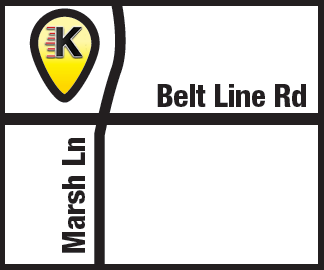 Kwik Kar Marsh offers free shuttle service to its customers. We will gladly take you to your home, office or other location with our free shuttle service if you do not wish to wait for an oil change or auto repair. When your car or truck is ready, we can pick you up and bring you back to Kwik Kar Marsh. No appointment is needed. Feel free to call us anytime at (469) 892-5987 or stop by and see us. We are here to serve our customers and pride ourselves in excellent service. We also offer Free Loaner Cars if you need to leave your car or truck for mechanical repairs. To learn more, give us a call or stop by for the details. Our auto repair experts are on location seven days a week.